Goalrilla is the system that redefined outdoor basketball goals. 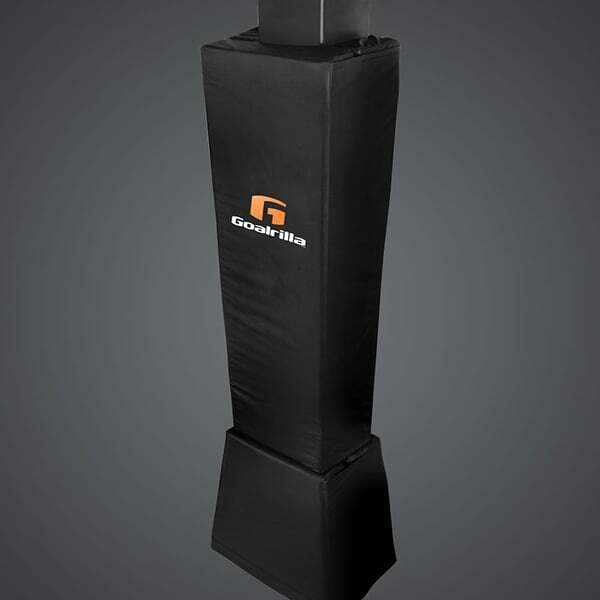 Allow yourself the assurance of total safety with the Goalrilla Deluxe Basketball Pole Pad. The Goalrilla deluxe basketball pad is specially fitted to fully envelop your Goalrilla basketball pole, leaving no spot unprotected by 4'' thick padding, standing tall at 68'' high. Heavy-duty straps secure the pad during even the most aggressive play, and a weatherproofing finish protects your pole pad during even the most aggressive weather.